Shaky Knees Music Festival has revealed its 2015 lineup, and it’s impressive to say the least. Highlights for us include Brand New, Best Coast, Halsey and The Kooks but wait.. there's more! The Strokes, The Avett Brothers, Wilco, Pixies, Social Distortion, Ryan Adams, Tame Impala, Old Crow Medicine Show, Neutral Milk Hotel, Death From Above 1979, James Blake and many more will perform over the course of the three-day festival. 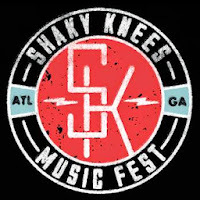 Shaky Knees will take place May 8th – 10th at Central Park in Atlanta, GA. Three-day general admission and VIP passes go on sale beginning Friday, January 16th at 10:00am ET through the festival’s website.